Mahon-Menorca Pinwheels with Fig Jam & Serrano Ham will be the appetizer that your whole family is clamoring for on Thanksgiving. Packed with flavor and quick to make – this appetizer is a winner. 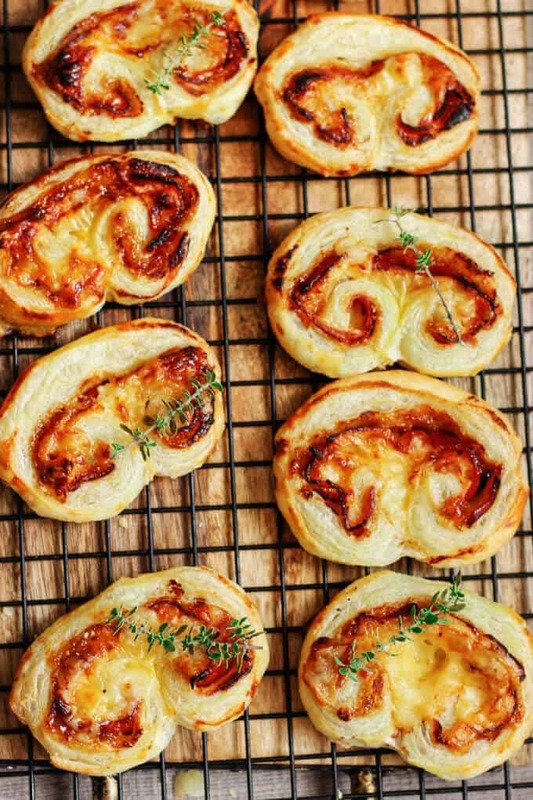 These Mahon-Menorca Pinwheels with Fig Jam & Serrano Ham are phenomenal! 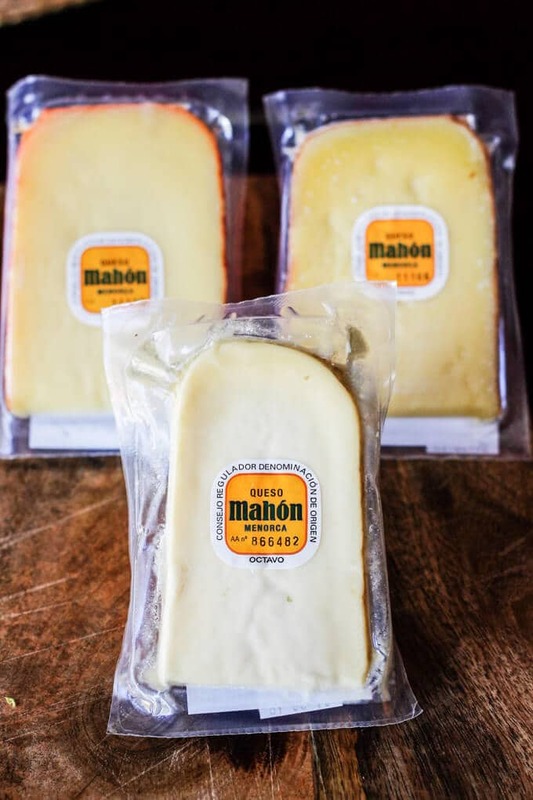 Two types of Mahon-Menorca Cheeses blend together to create a really decadent experience. 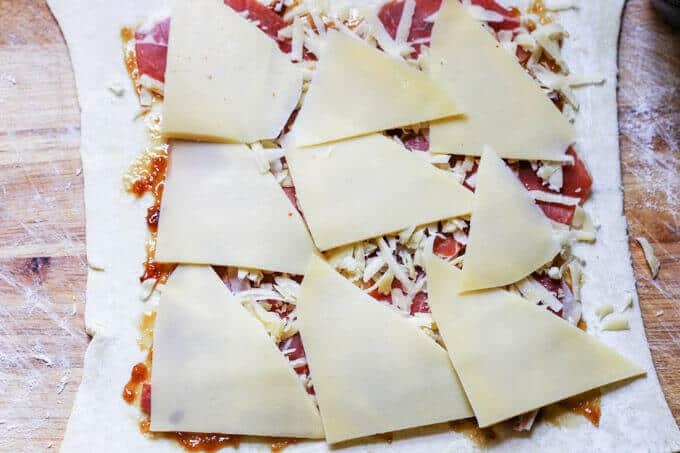 Spaniards have long since liked to eat their Mahon-Menorca Cheese with fruit spreads, so for my Pinwheels I decided to use a Fig Jam and Serrano Ham to preserve the authenticity of this Spanish experience. I must admit, that Serrano Ham isn’t very easy to find. It’s usually carried by specialty stores. I have couple of good grocery stores with high-end ingredients that I frequent, and they weren’t caring it. However, for my husband birthday we discovered a new tapas bar near us, so we decided to stop by for a glass of wine. Little did we know, they had an adjacent specialty deli store which was selling Spanish and Italian goods that are otherwise very difficult to find. And guess what, they had my Serrano Ham. Mahon-Menorca Cheese is a product with a Protected Guarantee of Origin (“P.G.O”). What does that mean? It means that this is a product which is very closely related to the geographic area where it is produced – the island of Menorca. 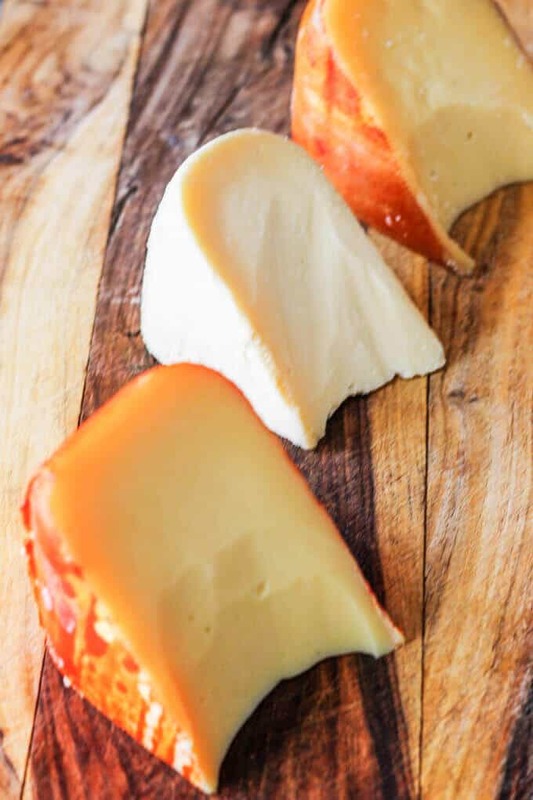 The geographic and climatic factors, as well as process of making and aging the cheese (the process has remained unchanged for a long time in farms and it follows ancient practices), affect he final balance and flavor of the cheese. On the island the agriculture tradition is carried on by family farms. The landscape is divided by stone walls, to allow the cattle graze freely. All of this has helped for Menorca to be declared a Biosphere Reserve by UNESCO. Isn’t awesome? And you’ll taste it in the cheese! The history of Mahon-Menorca Cheese is also fascinating. Some of the found pottery remains suggest that the cheese was produced on the island even as early as 3000 BC (talk about long tradition). By the 13th century their foreign trade was already important but it wasn’t until the British rule that the name “Mahon” was first used, which was the name of the product’s shipping port. In 1985 The Guarantee of Origin was conferred, and then in 1997 its protected denomination changed and become “Mahon-Menorca”. TENDER. Soft and creamy. Yellowish-white in color, with very little developed crust. Its taste is milky with a slight reminiscence of butter. It’s aged for 21-60 days. SEMI-CURED. Characteristic and unmistakable. 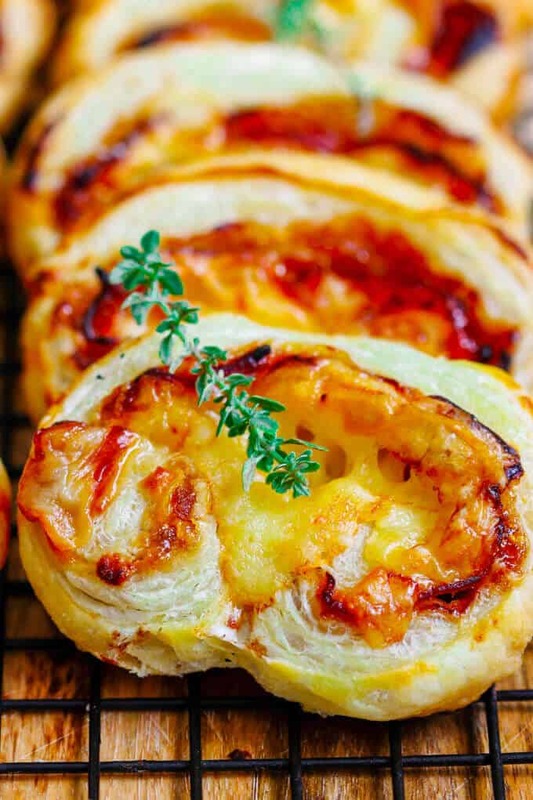 The crust is orange, and the cheese is firm yet easy to cut, showing irregular holes. Its milky tastes and flavors are more developed with reminiscences of toasted nuts and dried fruit. Its aged for 2-5 months. CURED. A delicacy for cheese connoisseurs. Its texture is firm and hard. It’s less creamy and in advanced stages of maturity – it breaks, flaking upon being cut. It has a very developed flavor and aroma, complex and intense. Aged more than 5 months. There is also a new one, a Traditional Style cheese made with Raw Milk that’s aged for 6 months. It is very complex and intense. It can be wonderful if served with fruit or a fruit spread on your Holidays cheese board. 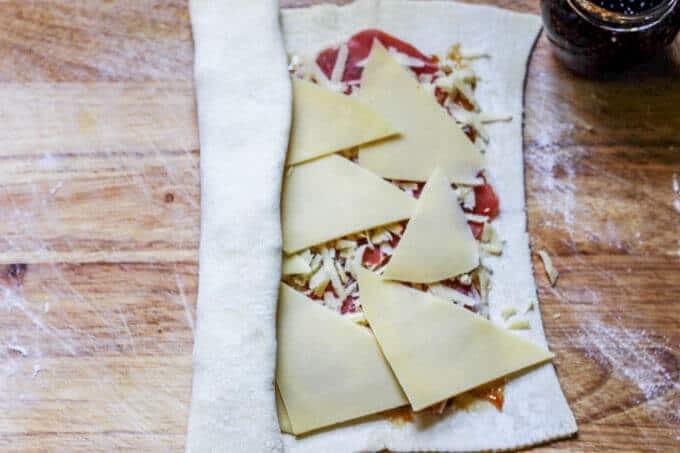 Now coming back to this super easy and super delicious recipe for Mahon-Menorca Pinwheels with Fig Jam & Serrano Ham. Below I put together a little tutorial on how to make them. 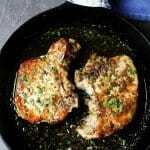 At the end of this post is also a printable recipe. For this recipe I used the Semi-Cured and Cured cheeses. I sliced the first one and shred the latter. You can actually shred both but I wanted to showcase in the recipe the use of both cheeses. Semi-Cured is hard enough to slice but it’s also soft enough to roll, so it was perfectly fine to just slice it. 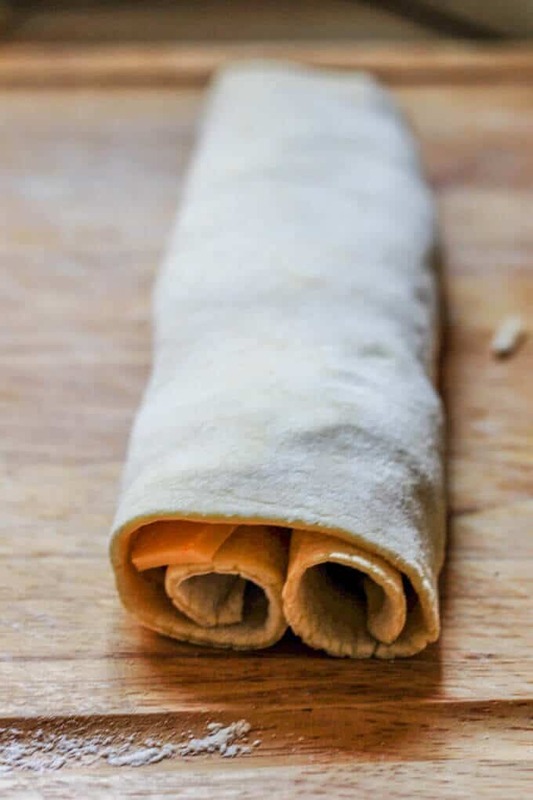 Preheat your oven to 400 degrees; Cut about half-inch slices and place them on baking sheet with parchment paper about 1 inch apart; Bake for 15 minutes. 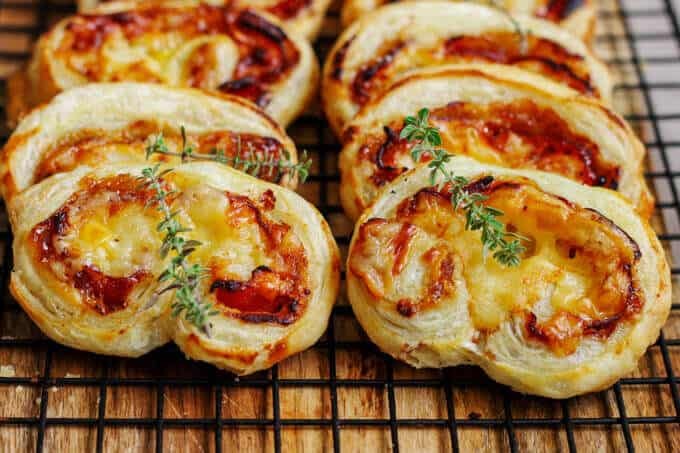 As you can see these Mahon-Menorca Pinwheels with Fig Jam & Serrano Ham are very easy to make and are perfect as a Thanksgiving appetizer. You can actually make them while your turkey is in the oven and serve hot when your guests arrive. 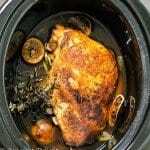 But you can also make them ahead of time and simply reheat for a few minutes until warm and they’ll be as delicious as firstly made. 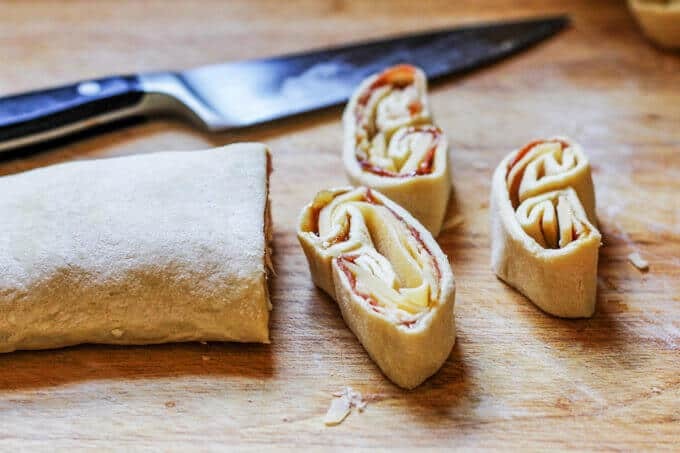 I am super excited that I have more Mahon-Menorca cheese in my fridge because for sure these Pinwheels are going to be present on my Thanksgiving appetizers menu. Don’t wait. Grab your cheese at one of the stores listed above and “WOW” your guests with this sophisticated but super simple-to-make appetizer. Mahon-Menorca Pinwheels with Fig Jam & Serrano Ham will be the appetizer that your whole family is clamoring for on Thanksgiving. Packed with flavor and quick to make - this appetizer is a winner. 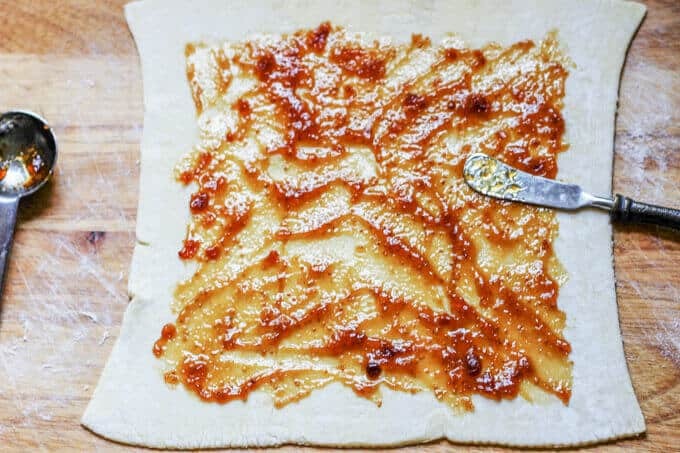 If you like the Pinwheels to be more on a sweet side you can spread more fig jam on each sheet. This post is sponsored by Mahon-Menorca Cheese. I need to seek out these ingredients. These look like delicious bites. Thanks Ellen. They are super good! Fig Jam is my favorite thing ever! Love this! I love it when you come across a store by accident that just matches your tastes perfectly. 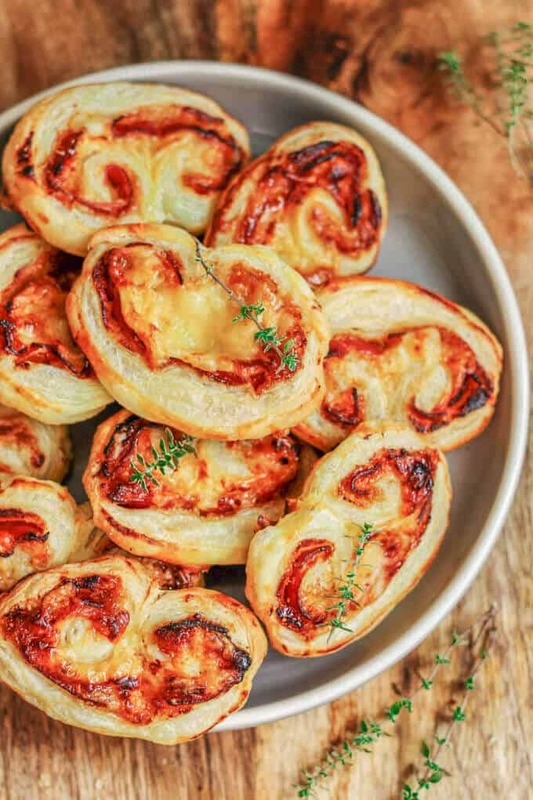 These pinwheels look incredible – whats not to love about pastry, Serrano ham and quality cheese. I know right? I was so excited that I found that store 🙂 Pinwheels are really good. Whoah, this is an epic blog post! Love the history you explained…and especially love these products. ALL of them! Looks like an amazing recipe…thanks for sharing! Thank you Traci. I’m very happy you liked my post. 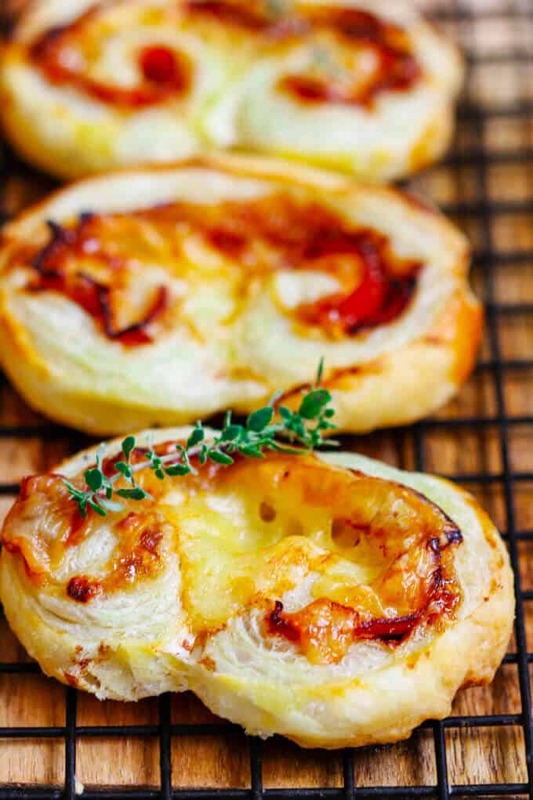 That cheese sounds divine, and I can only imagine how lovely it is with the sweet fig jam. Served warm, oh my. Love it! Some cool history in here and the recipe looks very good. These look amazing! 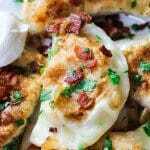 I love finding new ideas for holiday sides and appetizers 🙂 We’ll definitely be trying this! These look incredible! 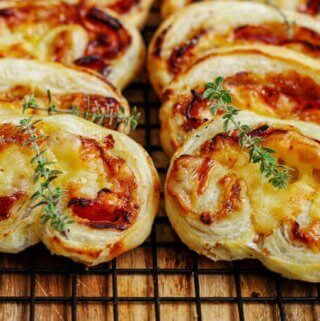 I love how you used the pastry in a savory recipe. Omg! 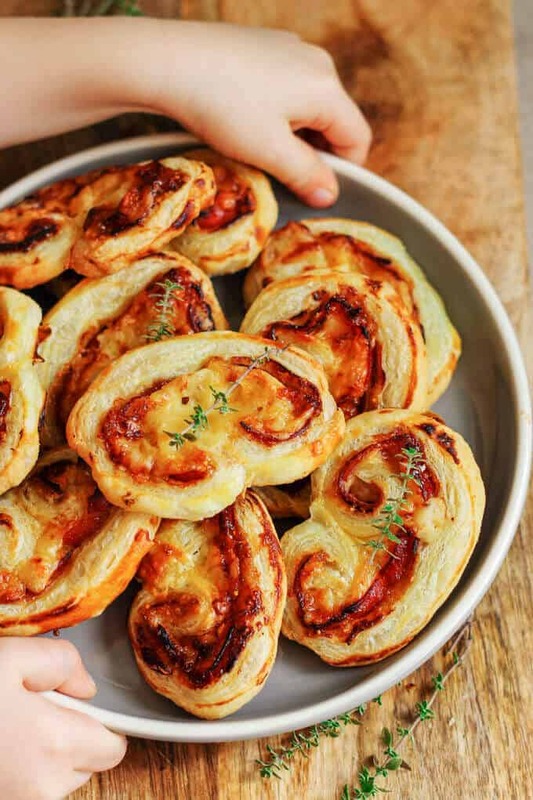 These pinwheels look so tempting! Cheese and fig jam will be wonderful together. Thanks for sharing, Edyta. Thanks Savita. Figs with Mahon-Menroca cheese are super delicious. Wonderful to read about, and I do like to use interesting ingredients. 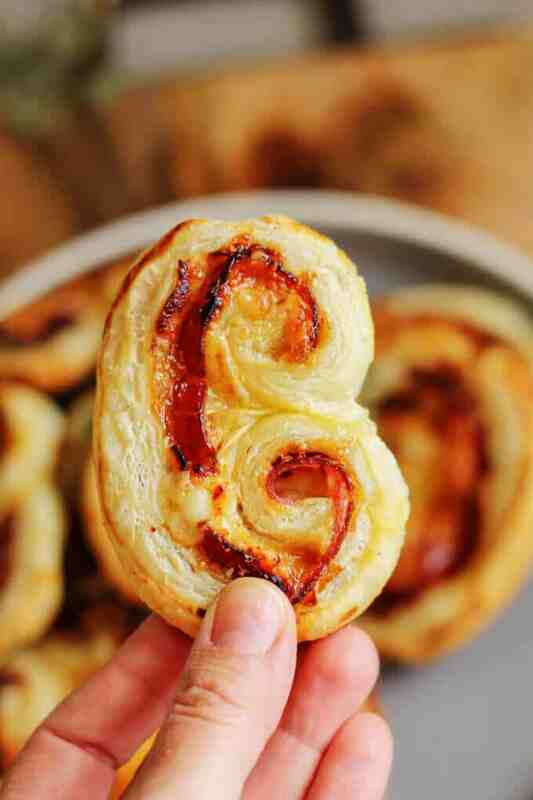 Your pinwheels sounds rather delicious, and a perfect little bite of a tasty treat. Thank you relent. They are really tasty. I’m just dying to try this! 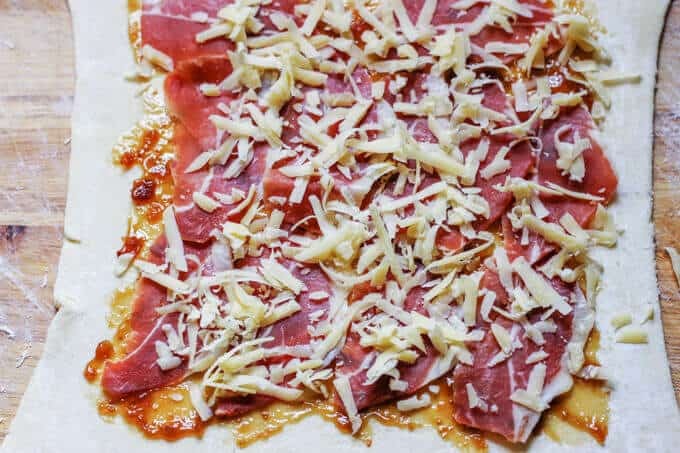 The cheese sounds absolutely divine, and what’s not to love about serrano ham? Two of my favorite things all rolled up together. Thanks Pam. They are super good.